Here we are, the eve of the final day of the marathon! This is exciting--we're almost there! Synopsis: An adventure story starring licensed cleaning company mascots. 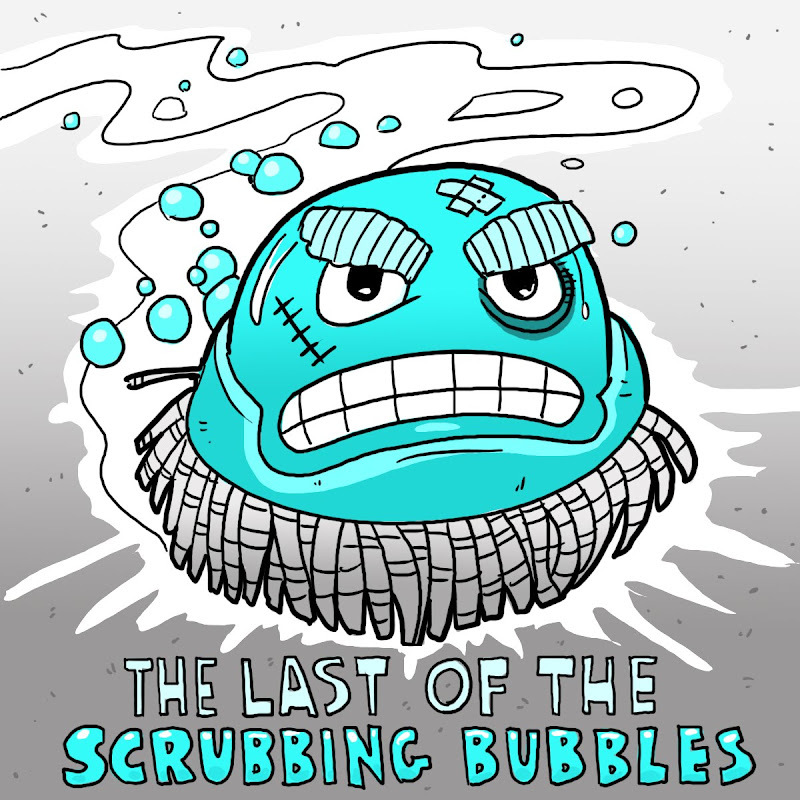 The Scrubbing Bubbles take on the world's filthiest bathroom, and only one survives to tell the tale--sorta like the graphic novel 300, but with Scrubbing Bubbles instead of Spartans. Cameos are made by Mr. Clean and the Foaming Pipe Snake. Hey, this is my marathon, I can break some rules! Of course nobody could (or should) publish a book starring characters from advertising. But I've always enjoyed the Scrubbing Bubbles--I loved them as a kid. They are so neat, so determined. They are a team, they cruise around churning out bubbles--what's not to like? They are also one of the few cartoon characters to survive the 2-D to 3-D transition gracefully. 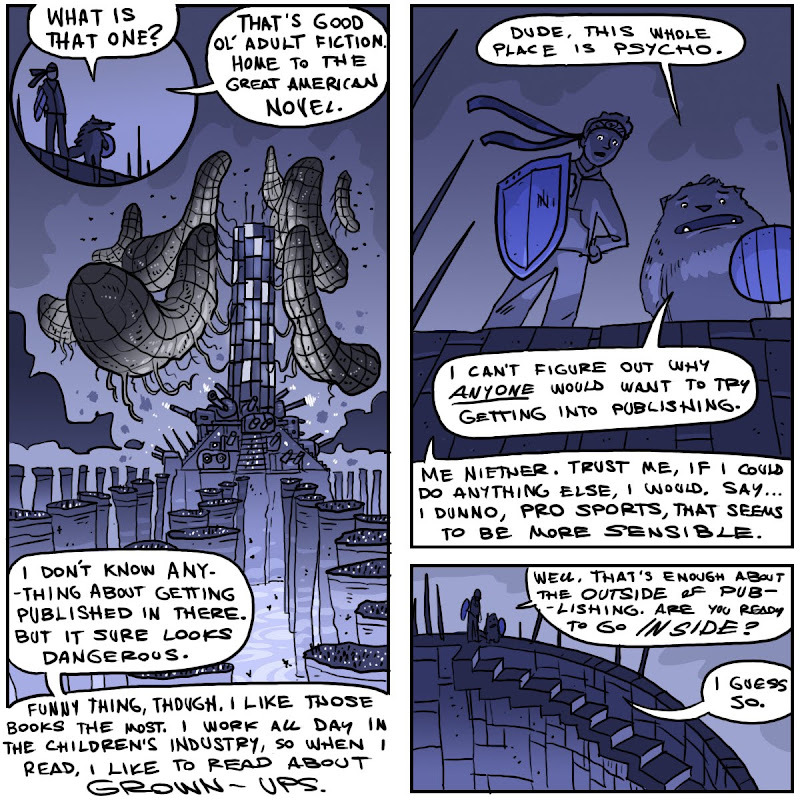 Wow, adult publishing does look dangerous. This is discouraging. I'm very determined to one day become a published author.... But, hey, maybe we should all do pro-sports instead. It's way more healthy! Yes! I love the idea! Of course copyrights and stuff may get in the way, but our young children in 2100 need to know what we did for entertainment-- watched commercials. Awesome commercials, where little micro-scopic srub brushes save the dirty bathroom from dirtiness. History in the making, for sure! This has been a fun ride (I can say that because it's only pretend,right? Right?? ).